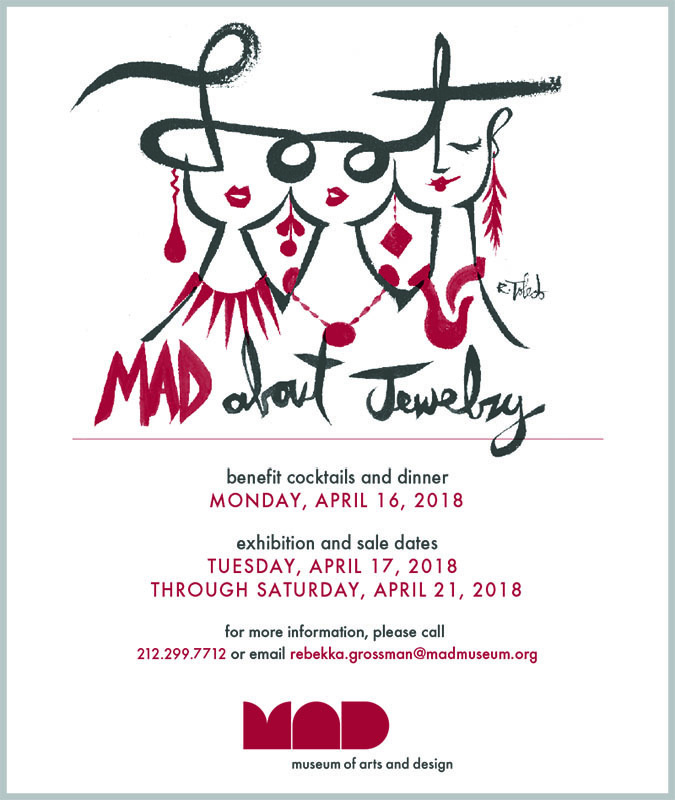 From April 16–21, 2018, The Museum of Arts and Design will present LOOT: MAD About Jewelry, its annual exhibition and sale featuring designs from 35 emerging and acclaimed international jewelry artists. Now in its 18th edition, LOOT has become known as the ultimate pop-up shop for contemporary artist-made jewelry, where collectors and jewelry enthusiasts have the rare opportunity to meet and acquire pieces from some of the most innovative creators in the field. Proceeds from LOOT: MAD About Jewelry benefit the Museum’s exhibitions and education programs. For more information, please contact Rebekka Grossman at rebekka.grossman@madmuseum.org or 212.299.7712. Entrance to LOOT is free with Museum admission.